Unfortunately one of the Blackhawks good young prospects will miss time because of a wrist injury. Notre défenseur Nicolas Beaudin a subi une blessure au poignet lors du match à Gatineau. Absence indéterminée pour le moment. 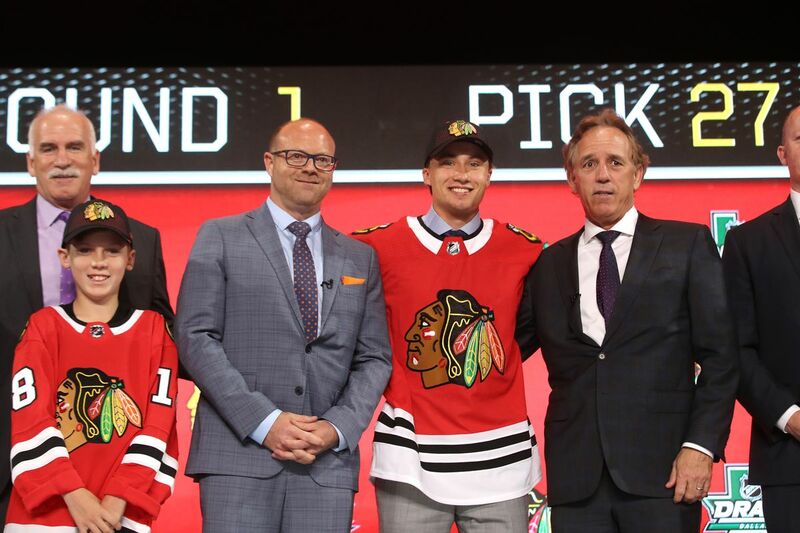 Beaudin, 19, was the 27th overall pick by Chicago in the 2018 NHL Draft. He was off to a great start with one goal and eight assists in nine games with Drummondville in the QMJHL. Thats unfortunate for him, hopefully it’s not a long recovery. No mention of surgery so may not be too long. Hopefully no surgery is needed. It’s a shame for him because he’s probably going to miss the Can/Rus series he was named to.